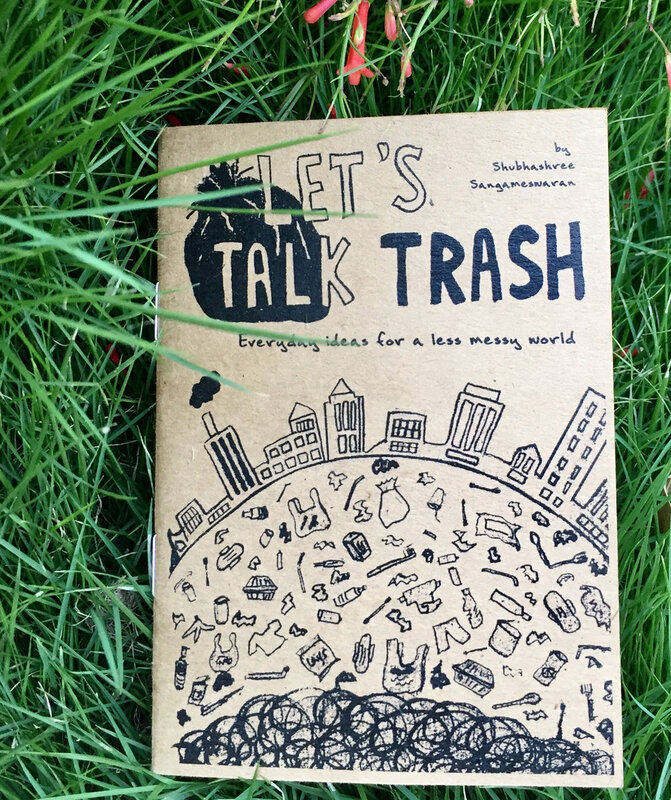 A little illustrated handbook by Shubhashree Sangameswaran with simple, everyday ideas towards a less messy world. 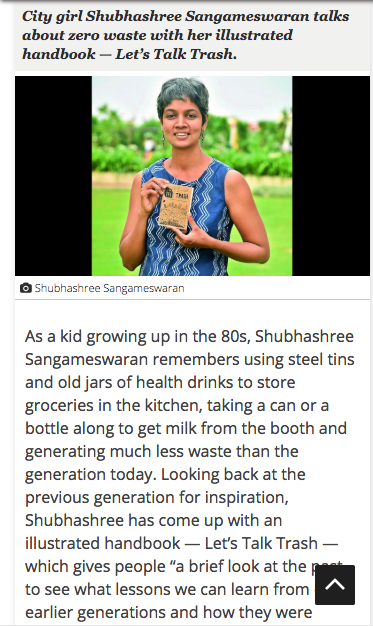 Also, a brief look at the past to see what lessons we can learn from our earlier generations and how they were pretty effortlessly #zerowaste, even before it became a hashtag. If you're getting a bit disgruntled at the state of our planet and wondering where to start, this book is for you. If you're already 'woke' and you carry your own cutlery and #RefuseTheStraw, but some people STILL don't seem to get it - this book is a perfect gift for them! Please write to me if you’d like to order bulk copies at a discount for schools. I’d also love to send printable PDFs if required. Also, if you'd like to order multiple copies, drop me an email on thehungrypalette@gmail.com so we can work out a lower shipping rate. A6 size, 36 pages. Price: Rs 140 plus shipping and handling.